Atlanta, GA, May 29, 2018: In our modern, fast-paced world we are often told that to find happiness we need to spend our time and energy chasing status, success, and accumulating as much as possible. This approach, naturally, leaves us feeling empty, and worse, unhappier than when we started. But what if we could learn to be heartful instead? The Heartfulness Way: Heart-Based Meditations for Spiritual Transformation (Reveal Press, June 1, 2018) offers a unique and powerful, four-part proven method for meditation that allows the readers to have an immediate, tangible spiritual experience, irrespective to their faith. 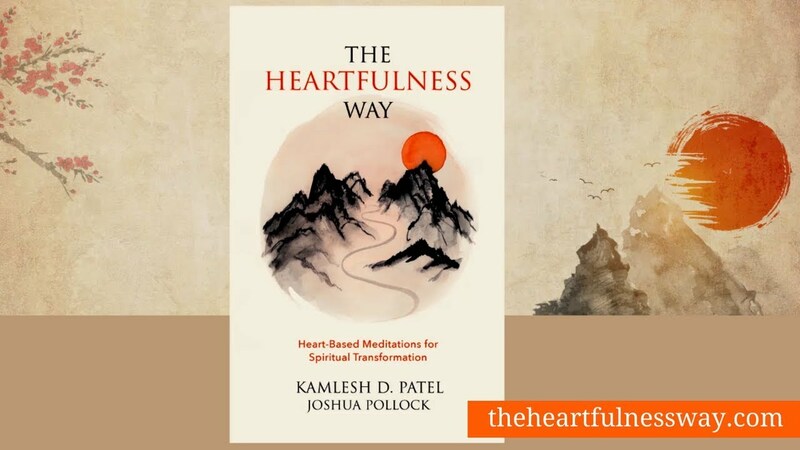 In this heart-centered book, Joshua Pollock is in conversation with his teacher, Kamlesh D. Patel – affectionately known as Daaji, the fourth and current spiritual guide of the century-old Heartfulness tradition. The Heartfulness Way presents a systematic, comprehensive, and detailed understanding of Heartfulness. Regular practice of Heartfulness can improve quality of life, relieve stress, allow practitioners to sleep better, have greater concentration, and can stimulate the immune system. The method consists of four elements: relaxation, meditation, rejuvenation, and connection. Kamlesh D. Patel, also known as Daaji, is the fourth and current spiritual guide of the Heartfulness movement, which teaches a version of Raja Yoga that has been modified to suit the modern era. Born in Gujarat, India, Daaji showed an early interest in meditation and spiritual growth. In 1976, as a pharmacy student in Ahmedabad, he met his guide, Ram Chandra of Shahjahanpur, the second spiritual guide in the Heartfulness tradition and founder and first president of Shri Ram Chandra Mission. After graduating with honors in 1980, Daaji moved to the United States and practiced pharmacy in New York City, while continuing the practice of Heartfulness. After Ram Chandra’s passing, Daaji became a devoted disciple of his successor, Parthasarathi Rajagopalachari. In October 2011, Daaji was proclaimed Parthasarathi Rajagopalachari’s successor. Following his guide’s passing on the December 20, 2014, Daaji became the global guide for Heartfulness practitioners. Joshua Pollock is a student of Kamlesh D. Patel. After experimenting with various meditative practices, Pollock started practicing Heartfulness in the United States in 2002, and has taught it since 2007. He regularly teaches Heartfulness at universities, corporations, government institutions, and at public seminars. An accomplished violinist, Pollock has performed and taught all over the world.